Andrea Demirovic will represent Montenegro with the song "Just Get Out of My Life". The song has been selected unanimously by RTCG jury panel. Andrea was born on 17th June, 1985 in Podgorica, Montenegro. She graduated Music School in Bar (piano). As fifteen-year-old girl se moved to Kotor to finish Music High School. Now, Andrea is a student of the Music Academy in Cetinje, Department of Music Pedagogy (Department-Solo Singing). Her first public appearance was in 2002 at the festival "Suncane Skale" in Herceg-Novi, which was the turning point in her professional career. Many more festival appearances followed, in her country and abroad (Bosnia and Herzegovina, Croatia) and they lead to her great success in 2005 - fifth place on the contest "Evropjesma", Serbia and Montenegro Eurovision preselection. Few months latter, she made an appearance at the "Suncane Skale" festival again, performing her hits "Sta ce mi dani" and "Planina", showing how much she has grown as an artist. Her first album, "ANDREA", was published in 2006, after two years of preparation. The songs and lyrics are work of famous Croatian singer/writer/composer Vesna Pisarevic, but, on the album is also one song made personally by Andrea - her Eurovision entry "Sta ce mi dani". The CD is published by the biggest publishers in Serbia - City records and Limark. Shortly after the CD was realised, Andrea's producers from Limark Company have presented Andrea as an artist to agents of British company Vord, and they showed a lot of interest for her. As a start of good cooperation was the fact that trough united presenting Andrea of the companies Vord and Limark, many foreign artists and authors have showed interest to work with Andrea. Next project for Andrea was the offer to make a duet song with Italian singer Massimo Bertacci. Right after that, successful author team, Rafael Artesero and Jose Juan Santana from Spain have shown interest to work with Andrea as well. From this cooperation, in 2007., three compositions were made: "The Queen of the night", "And now" and "Ley Ley Le". They will all appear on Andreas next CD. In 2008 Andrea has finished as runner-up to Stefan Filipovic at the Eurovision national preselection. "The Queen of the Night" was one of songs performed there. Author of this song, Jose Juan Santana, OGAE Spain president, was also songwriter of Emmy's entry in Armenian NF 2007, Coral's Babylon in Eurovision: El Retorno, and Mar Capdevilla's entry in running currently in Andorra. He is also co-lyricist of Andrea's entry lyrics. Other co-writers of "Just Get Out Of My Life" are Peter Match and Gunter Johansen, who actually are Ralph Siegel and Bernd Meinunger. 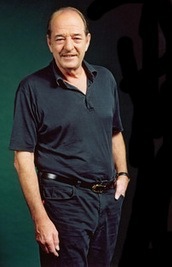 Mr.Siegel was Eurovision winner in 1982, his entries finished 2nd in 1980 and 1981, 3rd in 1994 and 1999. All in all he had 18 entries in the contest, last time in 2006. 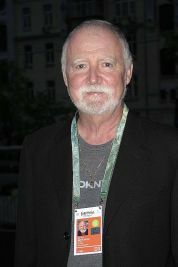 Lyricist Bernd Meinunger, a usual co-author of Ralph Siegel entries, who had 12 Eurovision entries in past. Thanks to her high professionalism, good agents and producers, well selected team of collaborators, permanent music and stage effects training, healthy living style (without drugs, alcohol, partying, e.t.c. ), permanent caring of her public image in media, placed Andrea to be one of most popular singers in Montenegro. Her starshine will definitely last for a long, long time, because, her career is without scandals and fast ups and downs, and plus to that, she possess a great talent and experience, so all that together will make her to be in permanent rise. You can listen to the Montenegrin entry here and watch music video here. All other versions are available to download on Limark's site. More info is available on RTCG site Андреа Демирович представит Черногорию с песней "Just Get Out of My Life". Эта песня была единогласно выбрана составом жюри телеканала RTCG. Андреа родилась 17го июня 1985 года в Подгорице, Черногория. Она закончила музыкальную школу в Баре по классу фортепиано. В возрасте 15 лет она перебралась в Котор, чтобы закончить высшую музыкальную школу. Сейчас Андреа учится в музыкальной академии в Цетине, педагогический факультет, отделение сольного пения. Первое публичное выступление Андреа было в 2002 году на фестивале "Suncane Skale" в Герцег-Нови, что стало переворотным моментом в ее профессиональной карьере. За ним последовало множество выступлений в ее стране и зарубежом (Боснии и Герцеговине и Хорватии), что привело ее к большому успеху в 2005 году - пятому месту на фестивале Европесня, отборе Сербии и Черногории на Евровидение. Несколько месяцев спустя, она снова выступила на фестивале "Suncane Skale", исполнив хиты "Sta ce mi dani" и "Planina", показав ее прогресс как исполнительницы. Первый альбом певицы, "ANDREA", был опубликован в 2006 после двух лет подготовки. Песни и тексты были написаны известной хорваткой певицей и автором Весной Писарович, но на альбоме есть и песня написанная самой Андреа - "Sta ce mi dani", ее заявка для Евровидения. Альбом был опубликован крупнейшим сербским лейблом - City Records и Limark. Вскоре после выхода альбома продюсеры Андреа из компании Limark представили ее агентам британской компании Vord, и они проявили к певице большой интерес. Началом сотрудничества стало то, что многие иностранные артисты и авторы проявили интерес к работе с Андреа. Следующим ее проектом становится предложение записать дуэт с итальянским певцом Массимо Бертаччи. Сразу после этого с ней начинают работу Рафаэль Артесеро и Хосе Хуан Сантана из Испании. Во время этого сотрудничества в 2007 году были записаны три песни: "The Queen of the Night", "And Now" и "Ley Ley Le". Они войдут на следующий диск Андреа. В 2008 году певица занимает второе место на черногорском отборе на Евровидение, уступив Стефану Филиповичу. Одна из песен, которую она исполняет на отборе - это "The Queen of the Night". Автор этой песни, Хосе Хуан Сантана, также является автором песня Эмми в Армянском отборе 2007, Babylon Корал в Eurovision: El Retorno и песня Мар Капдевильи в андоррском отборе этого года. Он также принимал участие и в подготовке конкурсной песни для Андреа как соавтор текста. Другие соавторы песни Андреа для Евровидения - это Питер Матч и Гунтер Йохансен, на самом деле являющиеся Ральфом Зигелем и Берндом Мейнунгером. Ральф Зигель становился победителем конкурса в 1982 году, его песни становились вторыми в 1980 и 1981 годах и третьими в 1994 и 1999. Всего в Евровидении принимало участие 18 его песен, последняя из них в 2006. Поэт Бернд Мейнунгер - обычный соавтор песен Зигеля, на счету которого 12 песен Евровидения. Благодаря ее высокому профессионализму, хорошим агентам и продюсерам, постоянной работе над вокалом и хореографией, здоровому образу жизни (без наркотиков, алкоголя, вечеринок и т.п), постоянной работе над созданием имиджа в СМИ - Андреа стала одной из самых популярных исполнительниц в Черногории. Без сомнения, ее звезда будет сиять еще очень долго, поскольку ее карьера проходит без скандалов, взлетов и падений, она обладает огромным талантом и опытом, поэтому постоянно находится на подъеме. Песню вы можете прослушать здесь, и посмотреть видеоклип здесь. Все остальные версии песни можно скачать на сайте компании Limark. Everybody's tryin' to help me to come free. And for all the reasons I must agree. I became a slave to you. Just get out of my, out of my, out of my dreams. While I'm fighting to survive. You are like a mountain and I'm afraid to fall. I know if you leave me I'll lose it all. You're too perfect, can't you see? - Hello, Andrea, and first of all our congratulations for being selected Montenegrin representative at Eurovision 2009! How do you feel now, being a Eurovision participant? - Thank you very much and hello to all wisiters of your web site. Thank you as well for interest in doing interview with me and talk about the song. It is a big honor for me to be a part of such a great manifestation, and I feel very happy that this year I will be in Moscow as Montenegrin representative. - Third time lucky? Do you think you're ready to conquer Eurovision now? - My team and producers hope so, but we will see… as for me, I do know that that is what I wish for, but I don’t know if I could objectivly say "yes". To this question. - How can you describe your song Just Get Out Of My Life in one phrase? - In one phrase? It’s a song that you can identify with, and its also wery catchy for the ears. - The song was made by the great authors team who have already made a lot of hits. - To do my best. To push my limits harder then before and give the best performance so far. And, hopfuly win! Isn’t that natural aim when you participate in some contesting? - Previous two participants from Montenegro were not that successful. What went wrong there? - I don’t know really… its not my place to give coments about that, but im sure that my colegues which were contesting before me did the best from their sides to assure good placement. - There will be some minor changes, so I will record new version, and I am sure that, in future, song will be recorded on other languages, but on which languages, that will decide the authors team, so I leave that to theirs experience and expertise. - You're going to perform in English on Eurovision stage. Was it natural or difficult decision? - The first and only version of lyrics is on English and I like it. I think that the main emotions in the song could only be well presented in English language even though I love my maternal language very much. - Are you planning some promotional tour? Do you think in general that pre-contest promotion is important for the contest success? - Yes, of course, I am planning promotional tour, and I personally think that the good promotional tour is very important for songs placement on ESC list. My promotional tour starts from Greece. - Any hints on how the stage presentation will look like? - There are few ideas about my stage performance, but still not as definitly scenario. We would like to arrange something interesting and unusual, but at the same time we are limited with the number of alowed persons on the stage, and transport and customs problems and rules, so it’s not so easy to respect high level of artistic impression for my stage performance with that all problems which are limiting our creativity. - You have been working with some biggest names in Eurovision history. What was the most valuable advice you've received regarding Eurovision preparations? - There are no one particular advice, but there are meny valuable advices, and they will all help me in my preparations fo Eurovision. Mr. Ralph's experience is treasure for me, as artist who will be for the first time in career on so prestige stage, and with his help I am sure that everything will be perfectly arrange. - All three parts in artists appearance have the same level of importants, but mostly, comparing performers quality, good performer could have more chance for success, even his song or show on stage is less interesting. I don’t know, it’s my personal opinion. - No, I think that eurovision is the biggest european music manifestation, and the best oportunity for many young and talented artists to concentrate their music career on an international level. - I’m curious to find who will be my “enemy”, and at the beginning I was permanently follow information about selections in other countries, but now I have less time for that. - Let's speak briefly on your career. What do you want to achieve in it? - Briefly…to be popular in whole Europe, to make contract with some big record company, to have the best team of authors who will produce a lot of beautiful songs like it is “Just Get Out Of My Life”. - In general, good international festival could be the best place for performing some new song between the albums, or for press promotion of the new album, so from time to time I take part and compete in festivals. Last year I competed on “Suncane Skale festival”, the most important festival in our area. You probably don’t know that Russian singer Alex Romas was competing on that festival too. He successfully performed song “Stigmata”, and we become friends, so when I come in Moscow, I will already have one friend who will wait and support me. - No before Eurovision, but after the Eurovision I will start working on records of several new songs, and at the end of the year I hope that my new CD will be published and released on market. - Thank you for the interview, good luck with your preparations and see you in Moscow! - Привет, Андреа! Наши поздравления с тем, что ты стала представительницей Черногории на Евровидении 2009! Что ты чувствуешь сейчас, попав на этот конкурс? - Большое спасибо и прежде всего поприветствую читателей сайта. Спасибо за интерес ко мне и интервью о моей песне. Для меня это большая часть стать частью подобного праздника песни и я очень рада, что выступлю в Москве в качестве представительницы Черногории. - Бог любит троицу - тебе повезло с третьего раза. Ты считаешь, что уже готова покорить Евровидение? - Моя команда и продюсеры надеются, что да - посмотрим... что же касается меня самой, то я не знаю пока, и поэтому на этот вопрос объективно ответить "да" я не могу. - Как бы ты описала свою песню Just Get Out Of My Life в одной фразе? - В одной фразе? Эта песня, с которой можно себя проассоциировать и она также очень легко воспринимается слушателем. - Расскажи нам вкратце историю создания этой песни? - Песню написала команда профессиональных авторов, за спиной которой уже множество хитов. - Сделать все возможное. Даже больше чем в моих силах, показать свое лучшее выступление в жизни. И, надеюсь, победить! Разве это не обычная цель каждого, кто участвует в музыкальных конкурсах? - Два предыдущих участника от Черногории были не столь успешными. Что не получилось? - Я даже и не знаю... не мне комментировать это, я уверена в том, что мои коллеги, представлявшие страну до меня, сделали все от себя, чтобы занять высокое место. - В песне произойдет несколько небольших изменений, поэтому новая версия будет. Я также надеюсь, что мы запишем песню и на других языках, но вот на каких конкретно - это должна решать команда моих авторов, поэтому я оставляю этот вопрос на их суд. - На Евровидении ты будешь петь на английском. Легко ли далось это решение? - Первая и пока единственная версия песни написана на английском и мне она нравится. Я думаю, что основные эмоции в песне можно передать только на английском языке, хотя я очень люблю свой родной язык. - Да, конечно, мы планируем промо-тур и я думаю, что хороший промо-тур очень важен для перспектив песен на Евровидении. Он начинается с Греции. - Можешь ли рассказать что-то о том, как будет выглядеть твое сценическое выступление? - Об этом есть несколько идей, но это пока не решенный окончательно вопрос. Мы бы хотели организовать что-то интересное и необычное, но в то же время нас ограничивает правило о количестве участников на сцене, вопросы с транспортировкой и таможней, поэтому задача поставлена достаточно сложная - показать высокий уровень художественной креативности учитывая все проблемы. - Ты работала с одними из крупнейших имен в истории Евровидения. Каким был самый важный совет, который ты получила от них, касательно подготовки к конкурсу? - Не могу назвать какой-то один конкретный, но ценных советов было очень много и все они мне очень помогают. Опыт Ральфа Зигеля - это просто находка для меня, исполнительницы, которая впервые в карьере выйдет на такой престижный уровень, и я уверена, что с его помощью все будет организованно на высшем уровне. - Я думаю, что важны все три составляющих, но, прежде всего, если сравнивать качество исполнителей - я думаю, что у хорошего певца всегда выше шансы, даже если его песня или шоу менее интересны. Такое мое личное мнение. - Нет, как я уже говорила - Евровидение - это большой Европейский музыкальный праздник, потрясающая возможность для многих молодых и талантливых артистов вывести свою музыкальную карьеру на международный уровень. - Да, мне очень интересно узнать, кто будет моими "врагами" и в начале я постоянно следила за информацией об отборах других стран, но сейчас, к сожалению, у меня уже нет на это времени. - Если вкратце - то стать популярной во всей Европе, заключить контракт с большим рекорд-лейблом, работать с командой лучших авторов, которые смогут написать для меня множество красивых песен, таких как Just Get Out Of My Life. - В общем, хороший международный фестиваль - это лучшее место для исполнения какой-то новой песни в период между альбомами, или раскрутки нового альбома в прессе, поэтому, время от времени, я участвую в различных фестивалях. В прошлом году я выступала в "Suncane Skale festival", самом важном фестивале в нашем районе. Вы наверное не знаете, что в нем участвовал и российский певец Алекс Ромас. Он успешно выступил с песней "Stigmata" и мы с ним подружились, поэтому, когда я приеду в Москву, у меня уже будет один друг, который будет меня там ждать и поддерживать. - Планируются ли у тебя какие-то релизы перед конкурсом? - Перед Евровидением, нет, но после конкурса я начну работать над записью нескольких новых песен, и надеюсь, что к концу года выйдет мой новый альбом. - Обычный наш вопрос - каких артистов ихз стран СНГ ты знаешь? 17/02 Montenegro entry has quickly raised attention of Eurovision fans for not only being written by experienced ESC team of Ralph Siegel and Bernd Meinunger, but also for the very talented and beautiful female performer Andrea Demirovic. While Andrea has started yesterday her promotional tour in Greece, ESCKaz got the chance to talk to her for this exclusive interview. After the Athens, Andrea will participate in Macedonian selection for ESC representative, and make her promo in Macedonia. Also, during her stay in Macedonia, Andrea will shoot video for Just Get Out Of My Life. She will be in Macedonia from February 20 to February 23. Then, from February 27 to March 03, Andrea will be in Sarajevo, Bosnia and Herzegovina, and participate in their song presentation show. Montenegrin team is als negotiating with Croatia, Slovenia, Serbia, Malta, Turkey, Belgium and Netherlands for next promo-tour destinations. Черногория в этом году приковала к себе внимание поклонников Евровидения не только тем, что ее песня написана опытнейшей командой Ральфа Зигеля и Бернда Мейнунегера, но и поскольку ее представит очень талантливая и красивая исполнительница Андреа Демирович. Вчера Андреа начала свой промо-тур в Греции и ESCKaz получил возможность взять у нее эксклюзивное интервью. После Афин, Андреа примет участие в македонском отборе на Евровидение. Во время остановки в Македонии также пройдет съемка клипа на ее конкурсную песню Just Get Out Of My Life. Андреа будет находиться в стране с 20 по 23 февраля. Затем, с 27 февраля по 3 марта Андреа отправится в Сараево, Боснию и Герцеговину и примет участие в шоу-презентации боснийской песни. Черногорская команда также ведет переговоры с Хорватией, Словенией, Сербией, Мальтой, Турцией, Бельгией и Нидерландами о посещении этих стран в рамках промо-тура. 31/01 The first press-conference of the Montenegrin representative in Eurovision 2009 Andrea Demirovic and her team was held yesterday in the building of a RTCG. It has been confirmed that the song "Just Get Out Of My Life" was composed by the famous German composer Ralf Siegel, while the authors of the lyrics are Bernd Meinunger and Jose Juan Santana Rodriguez. Song has been recorded in Siegel's Olimpia studio in Munich. PR representative of Andrea Ivan Maksimovic has reminded that the this year Eurovision has a different way of voting. According to him it is important to have experienced team, and Siegel is former winner and 18 times participant of the contest, there can not be a better recommendations. The project is very international: songwriters from Germany, co-authors of lyrics from Spain, singer from Montenegro, and the production house "Limark" from Belgrade, Serbia. - Andrea is the artist who definitely deserves international career. We are working on this project since the end of 2006. Eurovision give us the real opportunity and we've considered Ralph Siegel as someone who may help to achieve our goals - emphasized Ljiljana Ordagic, representative of "Limark". - Considering the song and its author we believe that we can achieve not only qualification, but top 10 position in the final. The track "Just Get Out Of My Life" is very difficult to perform and only artist as Andrea can cope with it. Anyway, it is not the final version of the song and we will keep on our work on the arrangements, however we're satisfied with Andrea's vocal contribution, so we won't record the voice, - added Ordagic. - We have very busy weeks coming, as we need to prepare choreography and record the video clip. Next week we will decide on the idea of the clip and we're working on agreement to promote it through MTV, - promised Ordagic. Coordinator of public relations from RTCG, Sasa Klikovac has informed that this year broadcaster have received 22 songs from 13 songwriters. The best entries came from Andrej Babic, Mladen Matovic, Ivan Canovic and Merima Njegomir and song of Andrea Demirovic which was unanimously selected. Other songs were mostly unfinished. There were 7 members of preselection committee: Vesna Ivanovic, Lidija Radovic, Zoran Zivkovic, Dalibor Nedovic, Branka Banovic, Bosko Rasovic and Vesna Banovic. He was unable to inform what budget will be available for this year's Eurovision campaign, but promised that they will learn from the previous mistakes and won't repeat them again. - Andrea now has received many invitations, she will be guest of the national selection in Malta. However, we're still solving visa issues. She will most probably also visit Greece or Turkey, and after that - the neighboring countries - concluded Ordagic. Andrea has once again confirmed that the song "Just Get Out Of My Life" in Moscow will be performed in English language, but she will record song in Spanish language and Montenegrin as well. 11. Song "Ljubav je san", performer and composer "FreeJack"
Blagoje Krivokapic from Niksic submitted three lyrics, Krsto Lucic from Herceg Novi sent four lyrics, Dragutin Bulatovic from Mojkovac submitted two lyrics. Состоялась первая пресс-конференция представительницы Черногории на Евровидении 2009 Андреа Демирович и ее команды. На ней было подтверждено, что авторами ее песни "Just Get Out Of My Life" являются известный немецкий композитор Ральф Зигель, авторы текста Бернд Мейнунгер и Хосе Хуан Сантана Родригез. Песня была записана в студии Зигеля Олимпия в Мюнхене. PR представитель певицы Иван Максимовчи напомнил, что в этом году на Евровидении будет использован новый способ голосования. Он считает, что для успеха необходимо иметь опытную команду, и нет лучше рекомендаций, чем у Зигеля - бывшего победителя и 18-кратного участника Евровидения. Проект в этом году весьма интернационален: авторы песни из Германии, со-автор текста из Испании, певица из Черногории и ее продюсеры - компания "Limark" из Сербии. - Андреа - это тот исполнитель, который заслуживает международного признания. Мы работаем над этим проектом начиная с конца 2006 года. Евровидение дает нам реальную возможность, и мы считаем, что участие Зигеля поможет нам в достижении наших целей - подчеркнула Лилияна Ордагич, представитель компании "Limark". - Основываясь на качествах песни и именах авторов, мы считаем, что можем достичь не только выхода в финал, но и попадания в десятку финала. Трек "Just Get Out Of My Life" весьма труден для исполнения и только такая певица как Андреа может с ним справиться. То, что вы слышали - это еще не окончательная версия песни, мы будем продолжать работать над аранжировкой - однако у нас нет претензий к вокалу и его мы переписывать не будем, сообщила Ордагич. - Впереди нас ждут недели напряженной работы, мы должны подготовить хореографию и снять видеоклип. На следующей неделе мы уже должны получить сценарий клипа и мы ведем переговоры по раскрутке его на MTV, - пообещала Ордагич. Координатор RTCG Саша Кликовач сообщил, что в этом году было получено 22 заявки от 13 авторов песен. Лучшие из них поступили от Андрея Бабича, Младена Матовича, Ивана Чановича и Меримы Ньегомир и песня Андреа Демитрович - которая и была единогласна выбрана всеми членами жюри. Все оставшиеся песни в основном были незаконченными набросками. В состав жюри вошли 7 человек: Весна Иванович, Лидия Радович, Зоран Живкович, Далибор Недович, Бранка Банович, Бошко Расович и Весна Банович. - Мы даже хотели первоначально разместить все песни на сайте, но, после того как мы связались с несколькими авторами, они попросили нас не делать этого, поскольку размещение незаконченных произведений сослужило бы им не лучшую службу. Поэтому, мы выложили только песню Андреа, - объяснил Кликовач. Он не смог ответить на вопрос о бюджете проекта, но пообещал, что все прошлые ошибки были учтены и их постараются больше не повторять. - Андреа уже получила множество приглашений. Она будет гостьей национального отбора на Мальте. Мы пока решаем вопрос с визой. Она также посетит Грецию и Турцию, и после этого - соседние страны, рассказала Ордагич. Сама Андреа снова подтвердила, что песня "Just Get Out Of My Life" в Москве прозвучит на английском, но она запишет версию и на испанском и на черногорском. 11. Песня "Ljubav je san", исполнитель и автор "FreeJack"
Blagoje Krivokapic из Никшича подал три текста, Krsto Lucic из Герцег Нови - четыре текста, Dragutin Bulatovic из Мойковача - два текста. 26/01 Ralph Siegel and Bernd Meinunger are the writers of Montenegrin entry. As ESCKaz has earlier pointed first, the name of composer "Peter Match" has been used in past by famous Eurovision songwriter for songs in English language. The song has been recorded in his Olympia studio in Munich. Today, Andrea Demirovic has partially confirmed the story, saying that she can't reveal the name, but songwriter of her entry is former Eurovision winning composer. Mr.Siegel was Eurovision winner in 1982, his entries finished 2nd in 1980 and 1981, 3rd in 1994 and 1999. All in all he had 18 entries in the contest, last time in 2006. Lyricist's name is listed as "Gunter Johansen", which is pseudonym of lyricist Bernd Meinunger, a usual co-author of Ralph Siegel entries, who had 12 Eurovision entries in past. Other co-lyricist is, as we've already reported, Spanish Jose Juan Santana. Ральф Зигель и Бернд Мейнунгер - авторы черногорской песни. Как ESCKaz указал ранее, одно из имен авторов песни "Peter Match" - это псевдоним, ранее использовавшийся Ральфом Зигелем для песен на английском языке. Песня была записана в его студии Олимпия в Мюнхене. Сегодня, сама певица частично подтвердила информацию, заявив, что она пока не может открыть имени автора, но он - бывший победитель Евровидения. Ральф Зигель становился победителем конкурса в 1982 году, его песни становились вторыми в 1980 и 1981 годах и третьими в 1994 и 1999. Всего в Евровидении принимало участие 18 его песен, последняя из них в 2006. Автор текста указан как "Gunter Johansen" - это псевдоним поэта Бернда Мейнунгера - обычного соавтора песен Зигеля, на счету которого 12 песен Евровидения. Еще один соавтор текста, как мы уже сообщали, Хосе Хуан Сантана. 23/01 Andrea Demirovic will represent Montenegro with the song "Just Get Out of My Life". You can hear the song here. The song has been selected today unanimously by 7 member RTCG jury panel. Song called "Just get out of my life" is very powerful, energetic, demanding for an interpretation, although perhaps not so sound in the first listening. I think that is the right choice for Eurovision and I stand with all my heart behind it. I will sing in English, but we will prepare versions in Montenegrin and Spanish and may be one more version. Song has been recorded in the Munich studio Olimpik, one of the best in Germany. Soon a new, improved version will be prepared. We also plan promotional tour in all ex-Yugoslavia countries and abroad. This is a really great project and I am very grateful to people from RTCG who gave me a chance to try to represent in the best possible way our country at Eurovision. I promise, I will give my maximum. I will not say that I will bring Eurovision to Podgorica, but at least we hope to qualify for the finals, told singer to The News. Nina Petkovic - Srce Balkansko, Sergej Cetkovic - Sjenke ljubavi, Ivan Canovic & Merima Njegomir - Kad bi dao Bog. Additional details will be revealed at the RTCG press-conference on Sunday. Now you can view RTCG news report here. Андреа Демирович представит Черногорию с песней "Just Get Out of My Life". Песню вы можете прослушать здесь. Эта песня сегодня была единогласно выбрана составом жюри телеканала RTCG из 7 человек. - Песня "Just get out of my life" - это мощная, энергичная композиция, призывающая к различным ее интерпретациям, хотя возможно и не так захватывающая с первого прослушивания. Я считаю, что это правильный выбор для Евровидения и я всем сердцем одобряю его. Я буду петь на английском, но мы планируем записать и черногорскую и испанскую и возможно еще одну версии песни. Песню мы записывали в мюнхенской студии Олимпик, одной из лучших в Германии. Скоро будет подготовлена новая версия песни. Мы также планируем промо-тур по странам бывшей Югославии и зарубежья. Я очень благодарна представителям канала, которые дали мне шанс представить свою страну на конкурсе. Я обещаю, что я сделаю все от себя зависящее. Я не говорю, что привезу Евровидение в Подгорицу, но, как минимум, мы надеемся на выход в финал. Дополнительные детали будут сообщены RTCG на пресс-конференции в воскресенье. Сейчас вы можете посмотреть новостной репортаж RTCG. Montenegrin broadcaster RTCG has made a call for songwriters and artists to submit their interest in taking part in Eurovision 2009. Deadline to enter is 20th of January 2009. Song representing Montenegro will be selected internally by selection committee, and it is specially noted that a new performer may be assigned to it if found more suitable. Черногорская телекомпания RTCG пригласила авторов и исполнителей подавать заявки на участие в Евровидении 2009. Срок приема - до 20 января. Песня, которая представит Черногорию на конкурсе, будет выбрана внутренним отбором. Специально отмечается, что оргкомитет может заменить исполнителя у поданной песни, если сочтет это необходимым.